Makeup and beauty !!! : A gift hamper ! 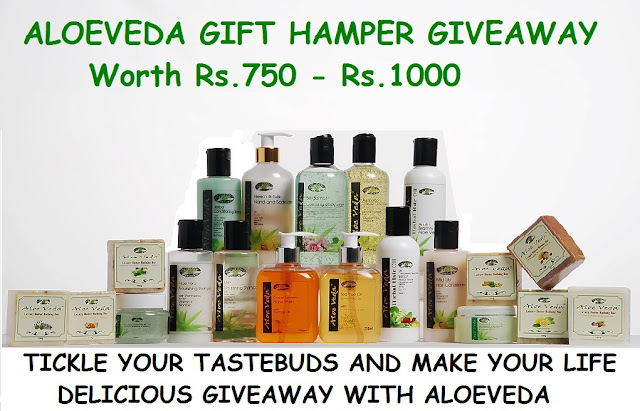 I was not yet ended up my drooling about my haul and i got this hamper.It is a gift hamper that i got from Lavanya fromTickle Your Tastebuds And Make Your Life Delicious associated to "Aloeveda"
Do visit her blog for some yummy recipes as she is a great cook.i tried some of her dish at my home and they are truely awesome. And here is my parcel that arrives two days before. Here are the products and the name of the products that Aloeveda send me. Hope you all like my post . & theme. Did you make this site yourself? Please reply back as I'm attempting to create my very own blog and would like to learn where you got this from or exactly what the theme is called. Thanks! of writing then уou have to аpρly these tеchniquеs to your won weblog. What's up colleagues, its wonderful paragraph about cultureand fully explained, keep it up all the time. A lot of times it's difficult to get that "perfect balance" between superb usability and appearance. I must say that you've done a awesome job with this. Is this a paid theme or did you customize it yourself? Either way keep up the nice quality writing, it's rare to see a nice blog like this one today. Thanks for ones marvеlous posting! I genuinely enјoyеd reading it, уou hаppеn to be a great author. I ωill alωays bookmark уour blog and may сome bаck lаter in life.